My favorite just got better! Attended the launch of Ray-Ban's new offerings for Fall 2014 entitled: "What You're Made Of" at 71 Gramercy a few days ago. The new styles feature the use of revolutionary materials that are not only chic and modern but lightweight and durable as well. The accompanying campaign is also quite interesting (you can check it out on their FB page). The photos used may give the initial interpretation of just looking controversial but they actually tell a deep (and highly entertaining) story behind the brand and the design it represents. Anyway, back to the new styles. There's 10 and even the kiddos get in on the fun this time around. Available in Aviators and Wayfarers, the frames from the Flat Metal Collection are manufactured using stainless steel which result in an extremely precise, thin and lightweight product. Liteforce: forged at extreme temperatures, Liteforce uses high performance Thermoplastic (just like the ones used on space shuttles) for a barely there, tough as nails, plastic frame in a wide variety of colors. Gummy Matte Collection - for the young and young at heart. This new collection includes 2 new rectangular shapes: Matthew and Shirley as well as a colorful take on the Clubmaster. They're made with plastic that has a yummy looking gummy matte appearance. Ice Pop Wayfarer - the most fun looking Wayfarers I've ever seen. Done in vibrant, frosted plastic, they just scream summer! Also included is the Full Color Aviator which is making a big comeback from the 80s! 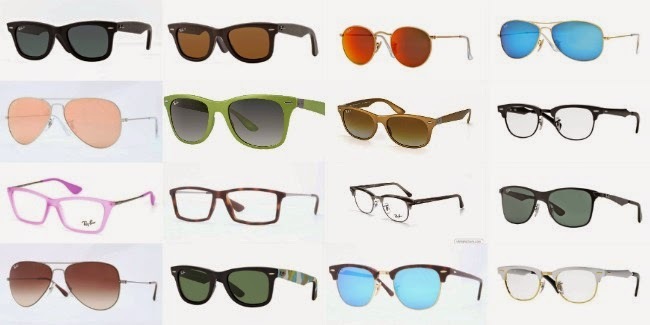 Choose between white, black, red, havana (brown - tortoise shell like), green and blue. My second best favorite are these Aluminum Clubmasters which are available as sunglasses or for prescription. They fit sooo well on the face and are extremely lightweight! Like I said in the beginning, even the Ray-Ban Junior classic styles are given an upgrade with their signature Flash Lens. Too adorable! Ray-Ban is available in all leading optical shops and department stores nationwide. You can also get them at a discount HERE.